For you seafood lovers: Smoked, grilled tuna sounds good, right? 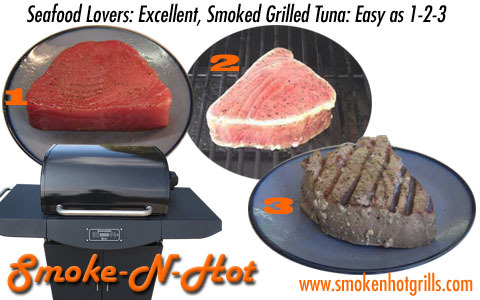 The Smoke-N-Hot pellet grill will certainly outdo any other method of adding flavor while achieving perfectly prepared tuna to generate mouth-watering “oohs and aaahhs” from your family or guests. 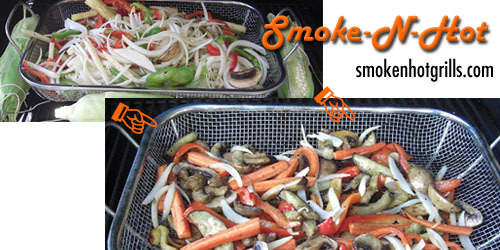 The secret is of course the smoke-infused flavor generated from genuine wood pellets. 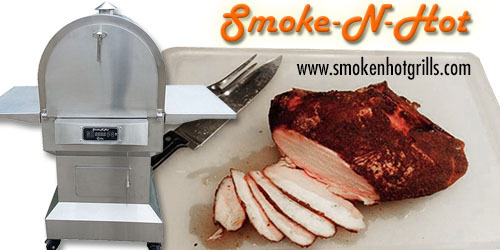 So you get it now that smoking your meat with wood pellets is superior to gas or charcoal. But get THIS: You can use our specially formulated wood pellets in SIX AMAZING FLAVORS to add an extra level of sophistication and flavor to your food. PACIFIC ALDER: Great for fish and vegetables. 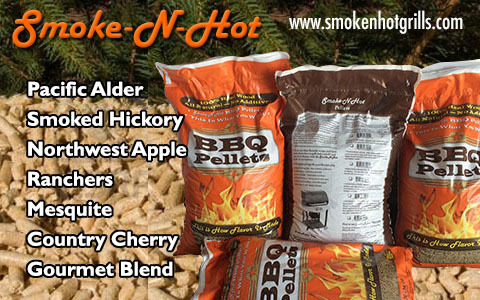 SMOKED HICKORY: Complements Pork and Chicken very well. NORTHWEST APPLE: Adds additional flavor to any meat. RANCHERS MESQUITE: This goes great with beef or chicken. COUNTRY CHERRY: This hardwood adds a sweet flavor. 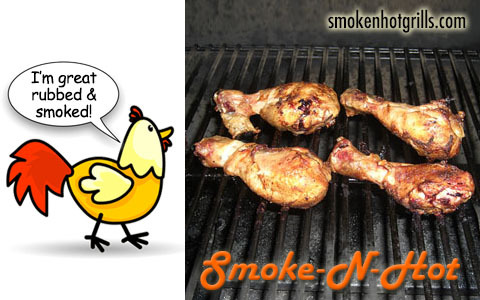 Chicken rubbed with a gourmet rub, then smoked to high heaven with the Smoke-N-Hot pellet grill makes for one great chicken encounter. 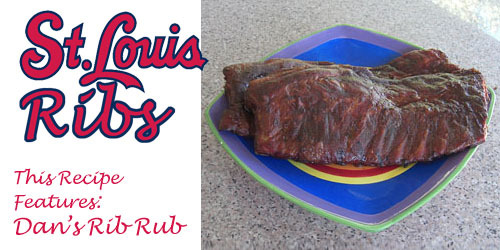 We know you'll certainly enjoy the moist, smokey flavor! 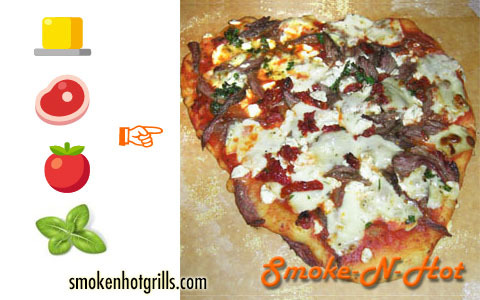 A pizza stone was set in the Pro Model Smoke-N-Hot Grill and the grill was set for 500º and allowed to stabilize at that temperature. The pizza was cooked for six minutes [always check the bottom for done-ness] ... and enjoyed by all. 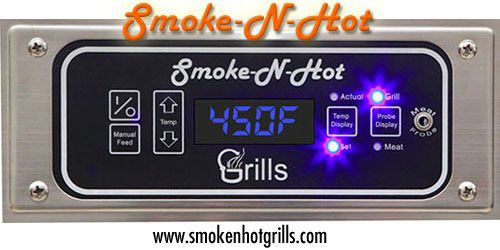 The electronic grilling controller is a key feature of the Smoke-N-Hot. And guess what? Guests give YOU the credit!